Crimson Guitars build unique bespoke guitars and basses and their work is not limited by materials or blind traditions. Master luthier Ben Crowe draws heavily on his training in building baroque violins and viola da gambas and has spent the last decade expanding his skills to encompass the disciplines of engineering and modern design. 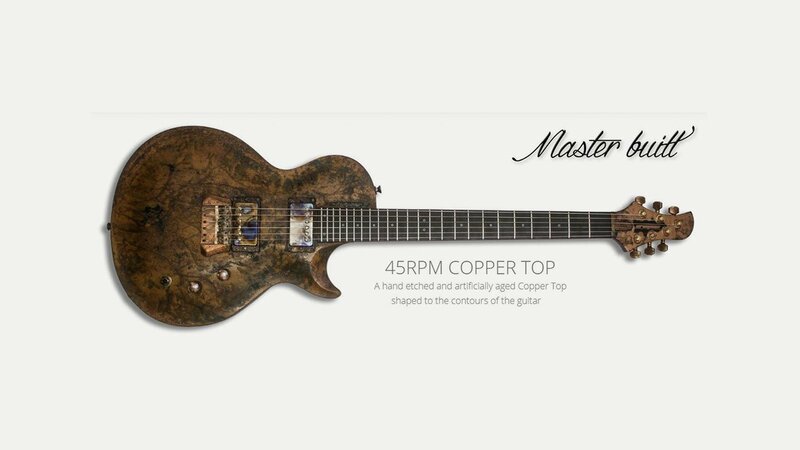 Their range includes the RAW series offering professional level and individually unique guitars at accessible prices; the Artist Series which is their flagship; Custom Shop guitars are highly customised versions of those seen in the Artist series; and the Master Builds which are built and ﬁnished by only one luthier, and feature the highest quality components. A custom guitar is not just about woodwork and they also create bespoke pickups and hardware, including ball bearing based perfect-pitch tremolo systems. Character, beauty, individualism… soul… this is what makes a true custom guitar.